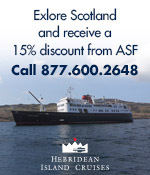 Now you can become an American Friend of Scottish Canals and Waterways. The American Friends of Scottish Canals and Waterway now allows you a way to help support, and become involved in the preservation of Scotland’s waterways and canals. The American-Scottish Foundation® is working with the Scottish Waterways Trust’s on innovative, outdoors projects – caring for the canals and creating brighter futures for people living along their banks. American diaspora, and those who just have a love of Scotland, will now be able to donate or take up membership packages through the Trust’s new American Friends of Scotland’s Canals & Waterways [AFSC&W] initiative. By becoming a Member or donating to a particular project of AFSC&W, the American Friends will help ensure a brighter future for Scotland’s two hundred year old historic canals by making possible a range of important repair and improvement projects. Two pioneering waterways projects, Canal College 2® and Ironwork Canal Archaeologists are leading initiatives that the American Friends will focus on..Scotland’s first ever Canal College, the Trust’s most successful project to date, helped 116 young people across Scotland into work, further education or training between 2013 and 2015. The charity is now fundraising for the $1.9 million needed to open canal college 2 in North Glasgow, Falkirk and the Highlands and run it for a further three years. Ironwork Canal Archaeologists is an innovative project designed by Scottish Waterways Trust to uncover the fascinating history of a lost canal-side Ironworks on the Forth & Clyde Canal in Glasgow, with a series of archaeological and heritage events for the local community and general public. Scottish Waterways Trust uses innovative waterways projects like these to engage those suffering from poor physical and mental health, social isolation and unemployment and help them gain the confidence and skills they need to turn their lives around. Now donors in America can help make these projects possible and ensure Scottish Waterways Trust can reach and help even more people across the country. 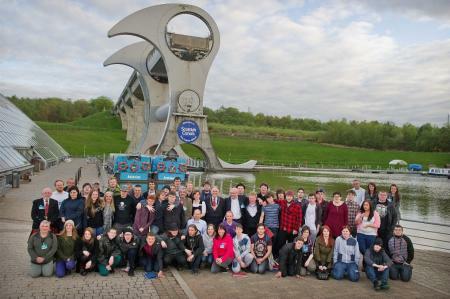 Learn more by visiting our The American Friends of Scottish Canals and Waterways donation page – you can become a Friend or support a student for Canal College. 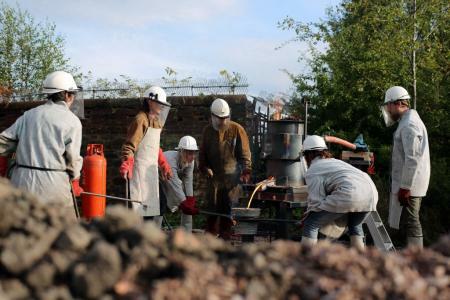 This entry was posted in Initiatives, News and tagged American Friends of Scotland's Canals & Waterways, American Scottish Foundation, Canal College 2®, Forth & Clyde Canal, Ironwork Canal Archaeologists on May 30, 2016 by Camilla Hellman.